"Loving Vincent" is a unique film, which took seven years to create, chronicling the life of Vincent Van Gogh's last days. The film is first fully painted animated feature where every frame is created with oil paintings similar to the style of Van Gogh. WHEN: 7 p.m. Sunday, Dec. 10 and 17. TICKETS: $8; doors open at 6:30 p.m.
INFO: Call 530-477-1100, email mainoffice@sierratheaters.com, or visit the website at http://www.sierratheatres.com. 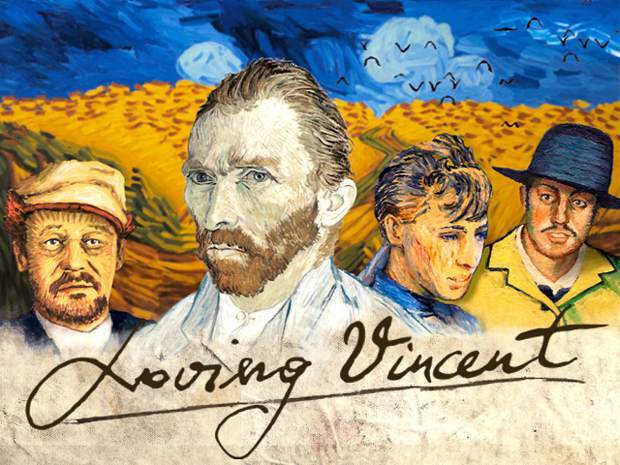 On Sunday, (and again on Sunday, Dec. 17), the Nevada Theatre Film Series will present “Loving Vincent,” a film about the final days of painter Vincent van Gogh. This unique film is the first fully painted animated feature and each of the film’s 65,000 frames is an oil painting created using techniques similar to Van Gogh. In making the film, directors Hugh Welchman and Dorota Kobiela first created live-action footage with actors playing their roles on specially constructed sets or in front of green screens. Digital software was then used to incorporate the paintings as well as other computer animation. The film took seven years to make. Sierra Cinemas owner Mike Getz said, “As January 2018 approaches, I realize that I’ve been operating the Nevada Theatre Film Series for almost 40 years. Our goal has always been to bring unusual movies to our local community; movies that weren’t being shown in the big commercial theaters. Both showings begin at 7 p.m. (with doors opening at 6:30 p.m.) and admission is $8.